A dead musical form, fossilised and marooned in time, hide-bound by convention and rules. A form of music which is always looking to the past, endlessly recycling old clichés and spiralling ever downwards into a narcissistic and self-reflective parody. A musical form which is difficult to understand and where you have to be a bit of an expert to get anything out of it. A musical form that’s predictable, irrelevant and ultimately boring. A musical form that’s elitist, full of name-dropping and out-of-touch. An audience that is all-knowing and just as hide-bound by convention as the music itself. We’re not talking about classical music here; we’re talking about the vast majority of post-1950 popular music. You can look at most types of popular music – and to be honest, you don’t need to look all that deeply – and you can see that same old rubbish trotted out again and again. Everything seems to be recycled, whether it’s fey and whimsical 60’s psyche, 70’s soft rock, getting back to basics (sic) 50’s rock and roll, early hip-hop, electronic music, post punk, jazz; you name it, you’ve heard it all before. Let’s face it. When did you hear anything genuinely new and innovative? And if you did, there’s a fair chance that when your initial enthusiasm wore off, you had at the back of your mind that it sounded a bit like x or y from way back when. That’s just the music itself. That’s before we get into the all the ridiculous posturing, live performances that always go the same way (see encores) and the idea that it’s all something of a stance against the norm. 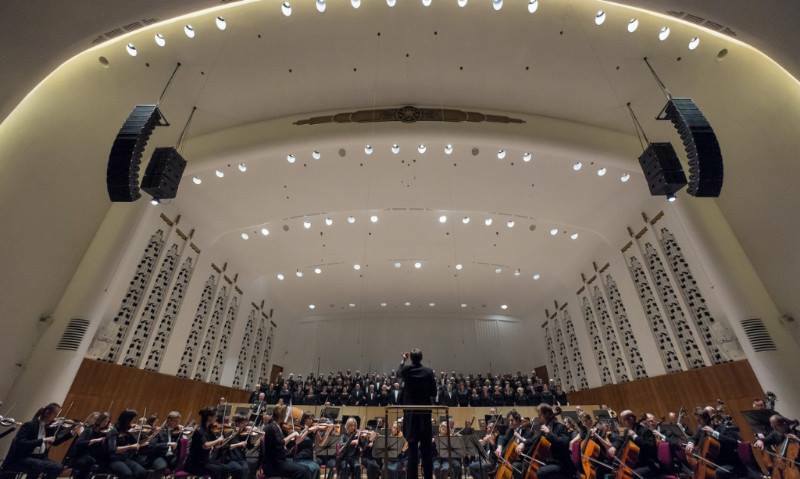 It was with all this in mind that Getintothis headed to the Philharmonic Hall to see the UK premiere of Philip Glass’ Symphony No 11 to be performed by the Royal Liverpool Philharmonic Orchestra and their Chief Conductor, Vasily Petrenko. 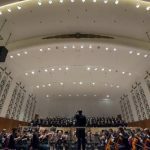 It is a bit unusual for Getintothis to be reviewing a classical concert and yet we found the whole thing to be richly rewarding. It may seem a bit intimidating to step over the threshold of the Phil in order to see something that’s different but really it’s no different or more difficult than going to a venue in a town you never been to before to see a band you don’t know that much about. If anything, it’s a lot easier. For one, it’s very unlikely that anyone is going to give you any hassle or lamp you because you’re an outsider. You’re not going to get that at the Phil. So we settled down in our seats in relative ease to hear Glass’ latest symphony, first performed in New York in March this year to mark his 80th birthday. 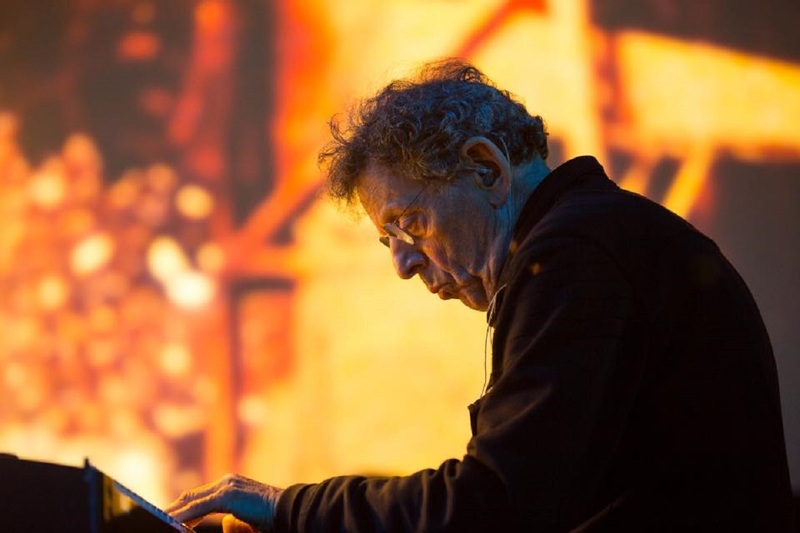 Philip Glass is well-known of course as a modern composer, famed for his repetitive musical structures, film soundtracks (Koyannisqatsi and many others) and operas such as the acclaimed and highly influential Einstein on the Beach. He’s been highly profilic since the mid-1960’s, writing countless pieces of work for film, television, orchestras, solo performers and ensembles and picked up many awards on the way-Golden Globes, BAFTA’s and been nominated for Oscars. He’s worked with Steve Reich, David Bowie, Laurie Anderson, David Byrne, Brian Eno, Aphex Twin and many other musicians. Philip Glass is not a man who stands still. 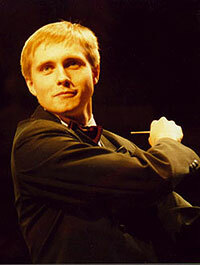 And neither is Vasily Petrenko, nor indeed, the RLPO. Hot on the heels of winning the coveted Gramophone Magazines Artist of the Year award for 2017, the concert began with Dvorak’s American Suite, all tunes and melody, light and airy. A perfect appetiser. After a short break, it all kicked off with the Glass. Where the Dvorak had been flowing and loose and quite dreamlike, there was a tautness and a preciseness to the Glass that was incredible. Short, stabbing instructions from Petrenko were translated by the Orchestra into something that sounded so complex and yet simple at the same time. This was music that made sense. We were listening to it and nodding. Not nodding because we were halfway to dancing (but you never know) but because it seemed right. You know when you hear a piece of music and it makes you smile because it works so well? That’s how it was with this. It wasn’t all repetitive and undulating minimalist stuff either. This wasn’t music to get lost in and to drift away with (although we do like that sometimes as well) but music with a purpose and music that keeps ever moving forward. There were echoes of Scandi-Noir soundtracks, jazz inflections played by a great brass section, bossa-nova rhythms, tuba solos – imagine that, when was the last time you heard a great tuba solo! – strings that urged things along with a diamond-like sharpness and militaristic percussion that ominously reminded us of what dangerous times we live in. And what’s more, this was played and performed with a passion and energy and skill that you very rarely (if ever) see elsewhere. How often have we said that, well this band can’t play their instruments that well, but they make up for it in a ramshackle way with their passion as if it makes everything alright? A sort of compromise if you will. 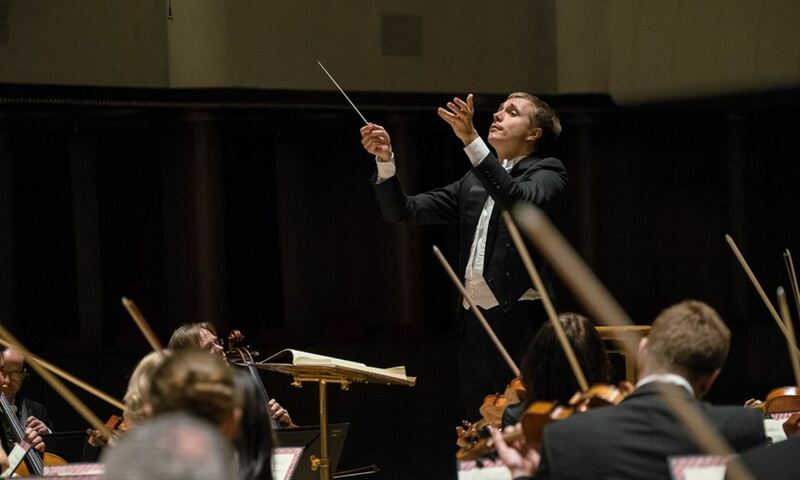 The RLPO and Petrenko performed the Glass Symphony with all the passion and skill that you could ever need and it was something to be remembered for a very long time indeed. A magnificent piece of music, a world-class orchestra and conductor performing in a world-class venue. We should be proud that our city has all this and we should celebrate it loudly. If this was New York, or Paris, or Berlin we’d be shouting about it from the rooftops.We have to break down the false perceptions that the classical music world is closed off to us, that it doesn’t mean anything and is irrelevant and boring because on the evidence of this concert it’s far from that.This is one of the most vital and life-affirming music experiences you can have. Give yourself a (very late) New Years Resolution. Get yourself to the Phil and see a classical concert. Give it a try. Just one. What have you got to lose? After all, it’s bound to be better than seeing some half-arsed band going through the same old routines, isn’t it?